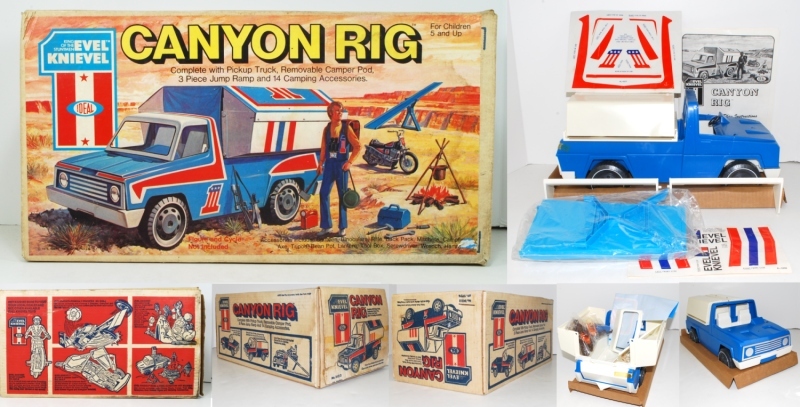 The Canyon Rig play set was released in 1975 by Ideal. 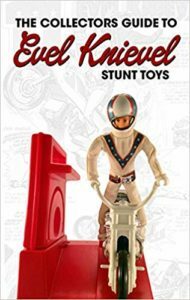 The Evel Knievel action figure was sold separately as the Road and Trail action figure. 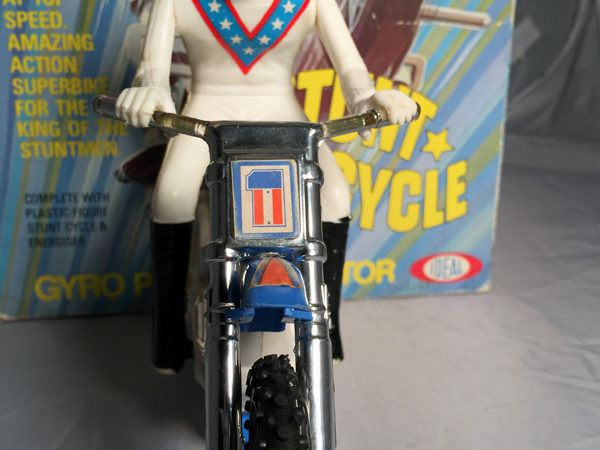 This figure is one of the rarest figures to find. 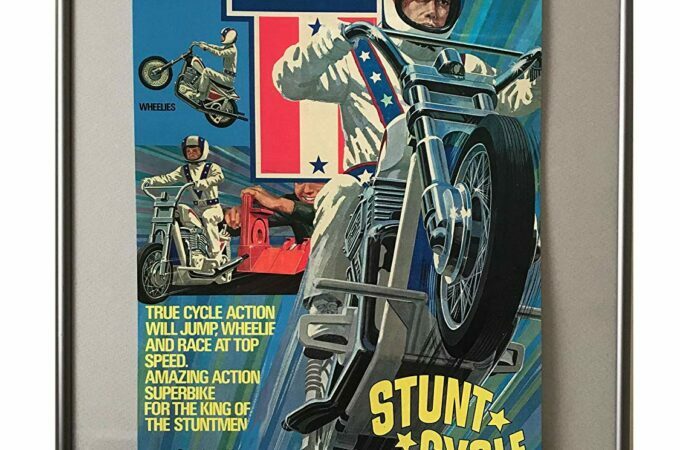 The action figure was also part of the Road and Trail Adventure Set. 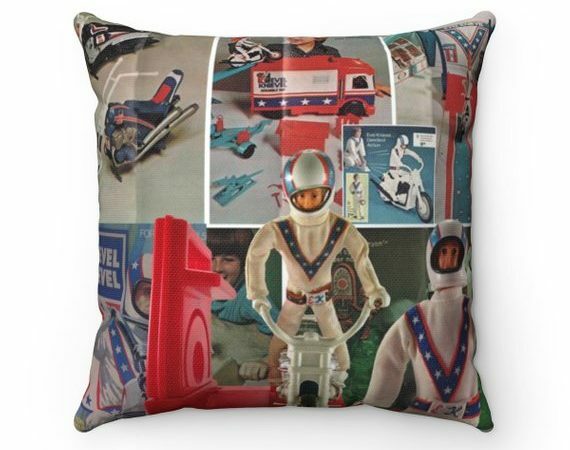 This set is very rare to find and finding a complete set is ultra rare. 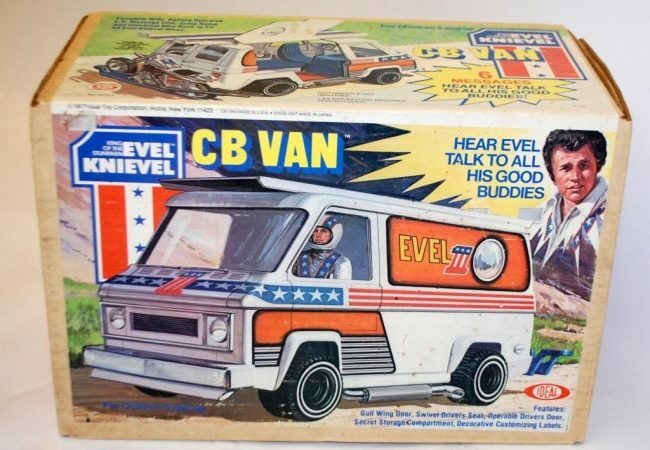 The contents came with numerous accessories which included the following : Pickup Truck, Removable Camper, 3 Piece Ramp, Canteen, Binoculars, Rifle, Back Pack, Machete, Campfire, Axe, Tripod, Bean Pot, Lantern, Tool Box, Screwdriver, Wrench and Hammer. The pickup truck was also issued in the Road and Trail set however in the Canyon Rig the truck came with a popup camper with plastic tent top. The tent is often missing. 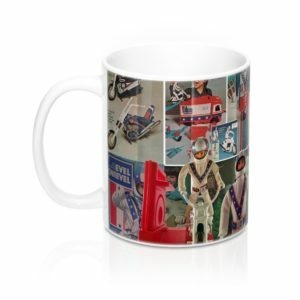 Also important to this set is the white plastic truck cab that is often missing because it was detachable.